1. Mix all ingredients except bell peppers. 2. 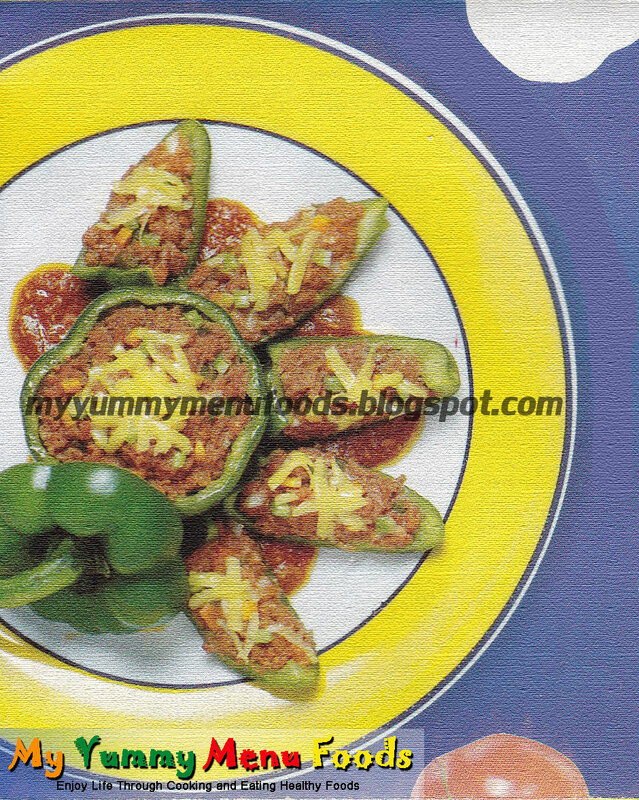 Stuff mixtures into boiled green pepper, then baked for 20 minutes at 350 degrees. 3. For the sauce, mix everything together and pour over stuffed green peppers and baked for 10 minutes.